Once you start making your own bath products, you’ll be hooked. They’re easy, inexpensive, and can be customized to fit your – or your gift-recipient’s – exact preferences. A DIY Aromatherapy Body Scrub is a perfect place to start. Sugar is a wonderful exfoliant, and coconut oil has been used as a topical healing agent in cultures around the world. Honey is a popular ingredient in many DIY beauty products for both its anti-bacterial and hydrating qualities. Here is one of our favorite body scrubs for ultra-soft skin. This is great during summer months for smooth, glowing skin as well as during winter months when skin tends to be drier. We love that the balanced aroma of orange and vetiver used in this DIY Aromatherapy Body Scrub is favored by men and women alike; plus, vetiver draws your focus from mind to body while orange calms your mood and makes for a luxurious bath ritual. Place the raw honey and orange peel in a medium mixing bowl. Pour the melted coconut oil over top, and whisk together. Mix in the essential oils, and add the sugar last, stirring until thoroughly combined. Transfer to a wide-mouth 12-ounce jar that is airtight and waterproof. 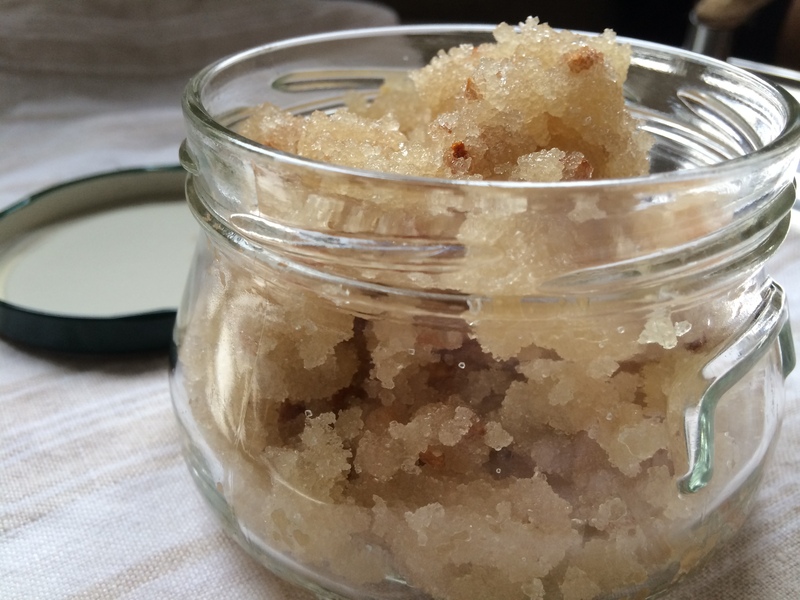 A small handful once or twice a week is all you need to reap the benefits of this sugar scrub. Lasts for about 2 months. The softer the honey, the easier to mix. If the honey doesn’t stir easily, you can heat it. If you cannot find dried orange peel, you can use fresh orange zest. Just keep in mind that a fresh product may reduce the shelf life. As an easy alternative to vanilla essential oil, try ¼ teaspoon vanilla extract or seeds from ¼ vanilla bean. Make sure the sugar granules aren’t too large as they may be abrasive on your skin. Omit the orange peel, Vetiver, and Vanilla, and create your own aromatherapy profile!